The trailer also reveals three new fighters: Cassie Cage, Jacqui Briggs, and Erron Black. 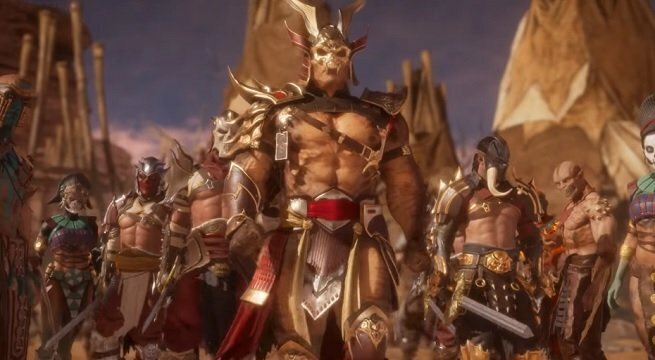 With these new additions the Mortal Kombat 11 roster swells to 15 fighters, including Scorpion, Raiden, Sub-Zero, Sonya Blade, Skarlet, Baraka, Geras, Kano, D’Vorah, Kabal, Jade and Johnny Cage. If you’re eager to get your hands on Mortal Kombat 11, you’ll want to consider pre-ordering the game. Mortal Kombat 11 will be available starting April 23 for PS4, Xbox One, Nintendo Switch, and PC, and anyone who pre-orders on Xbox or PlayStation will get access to the beta, which runs March 28-31.